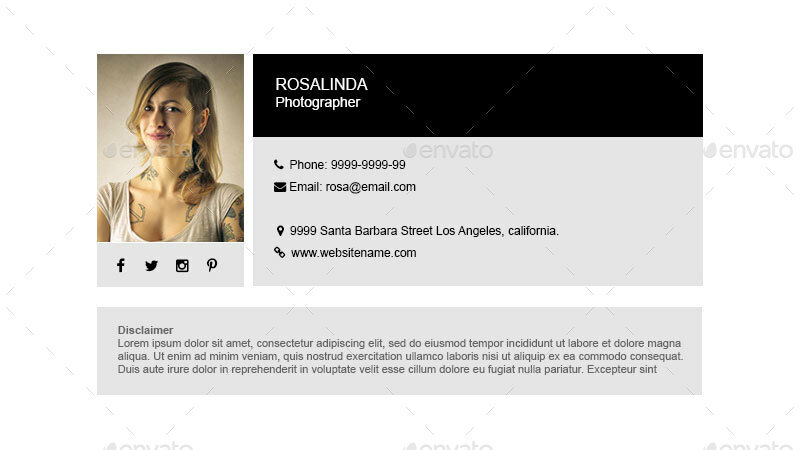 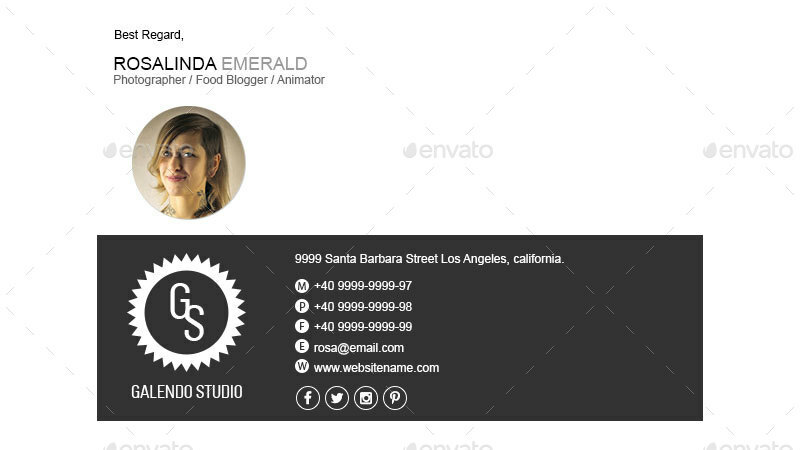 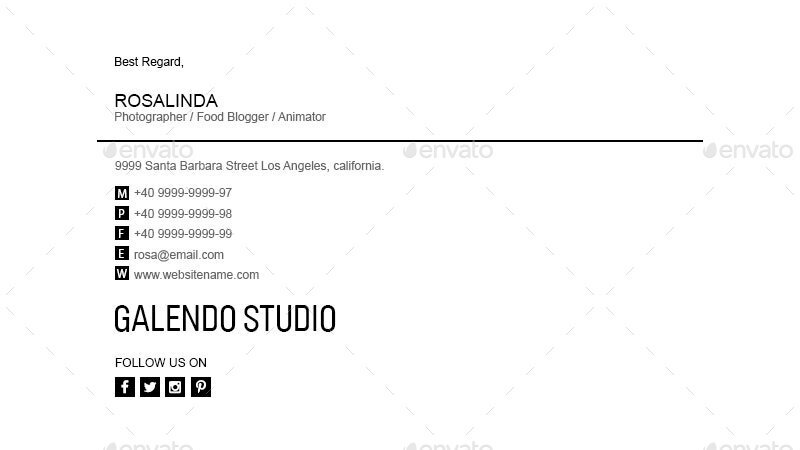 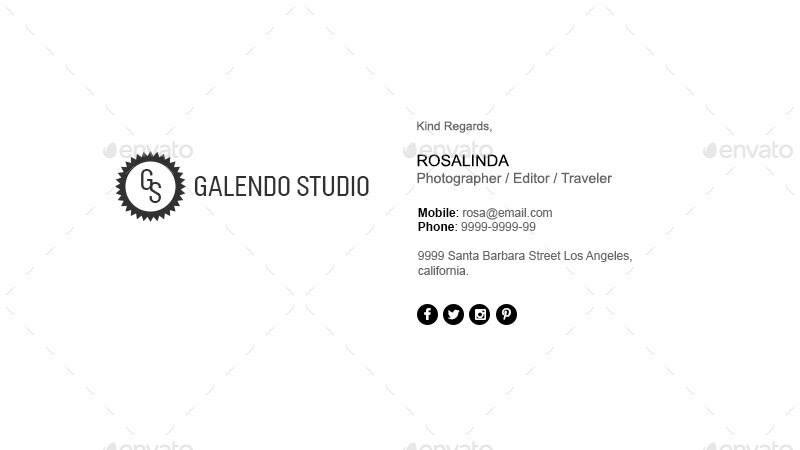 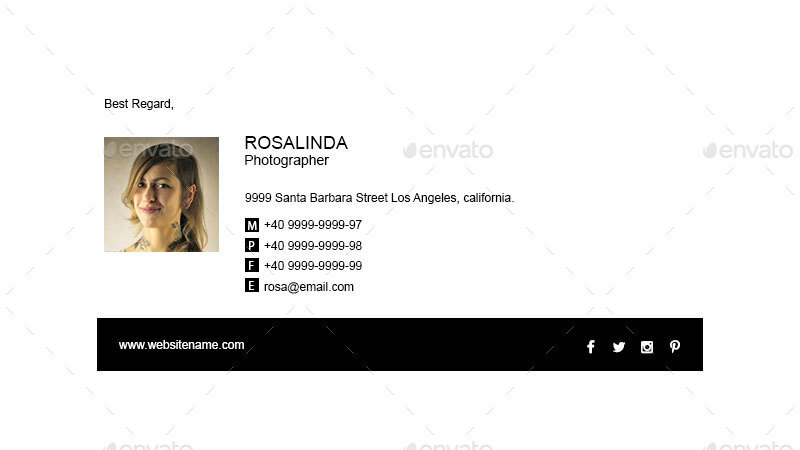 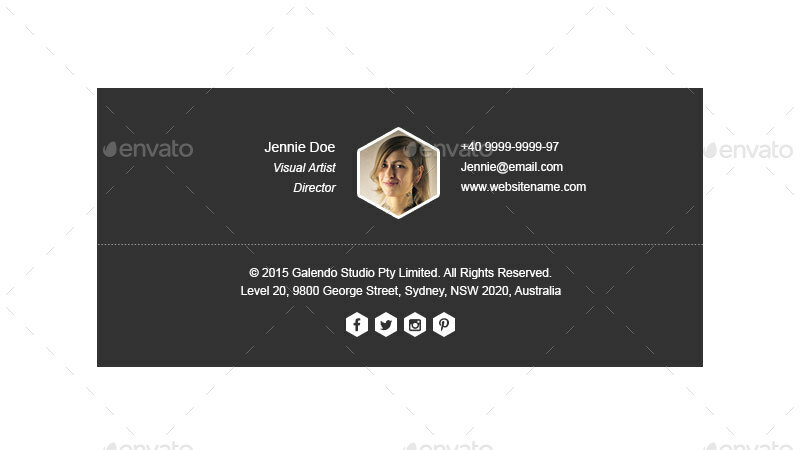 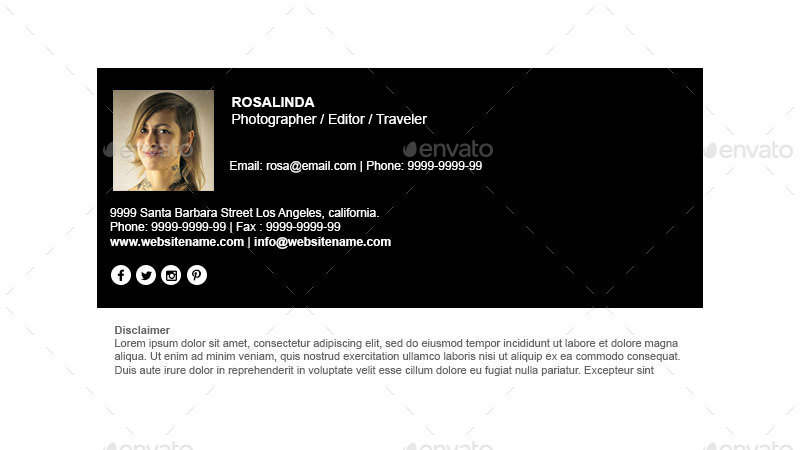 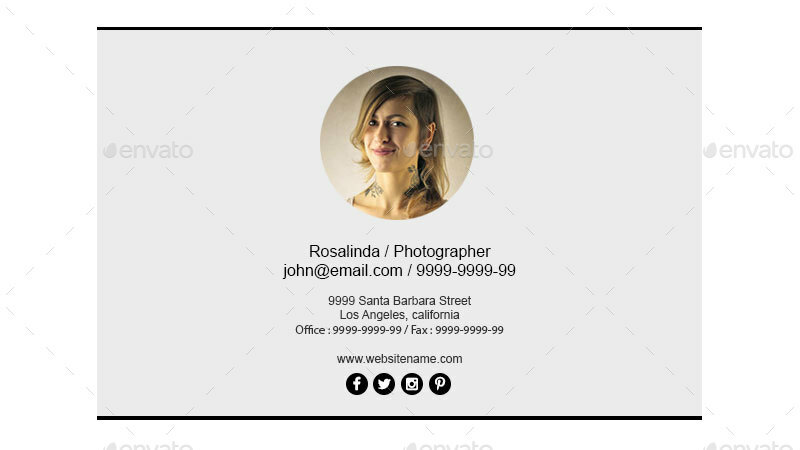 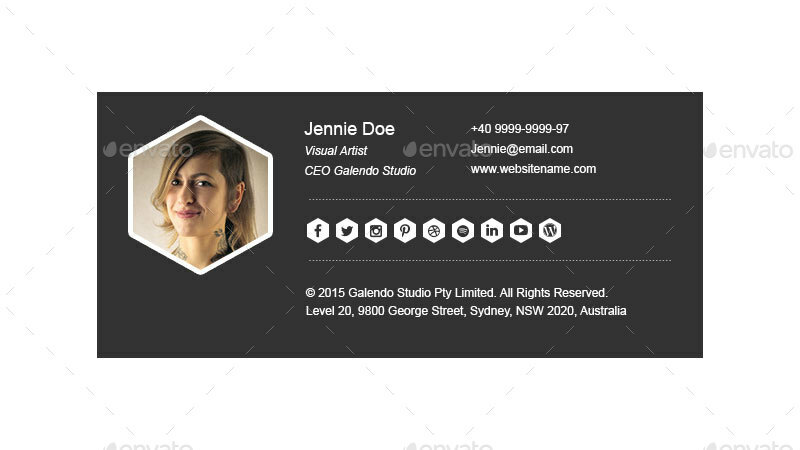 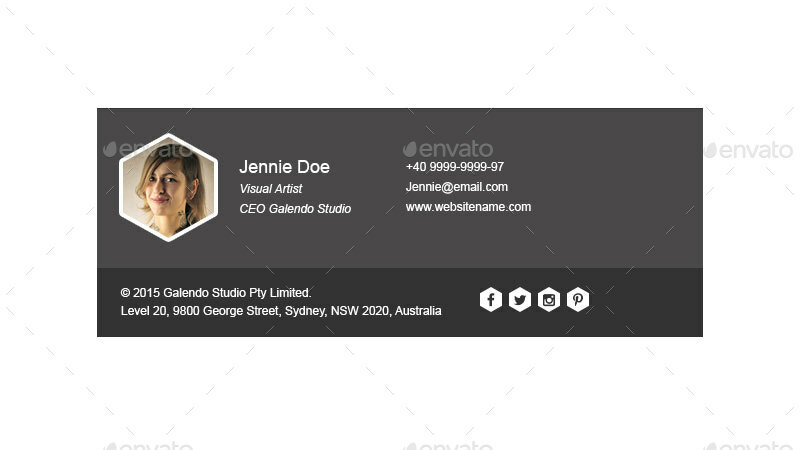 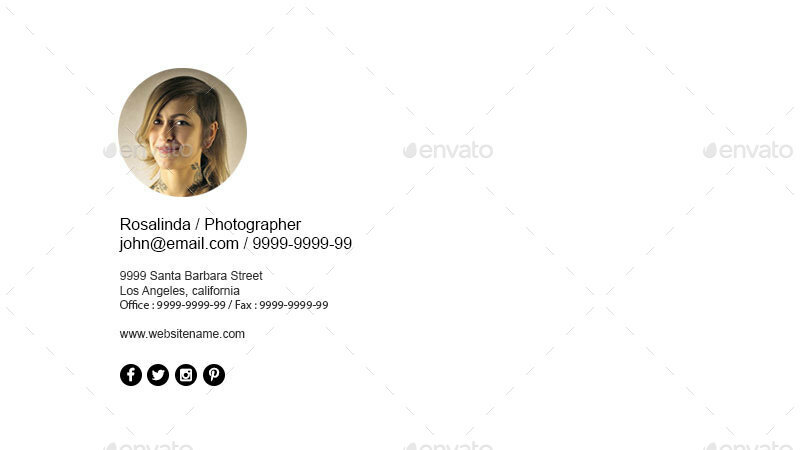 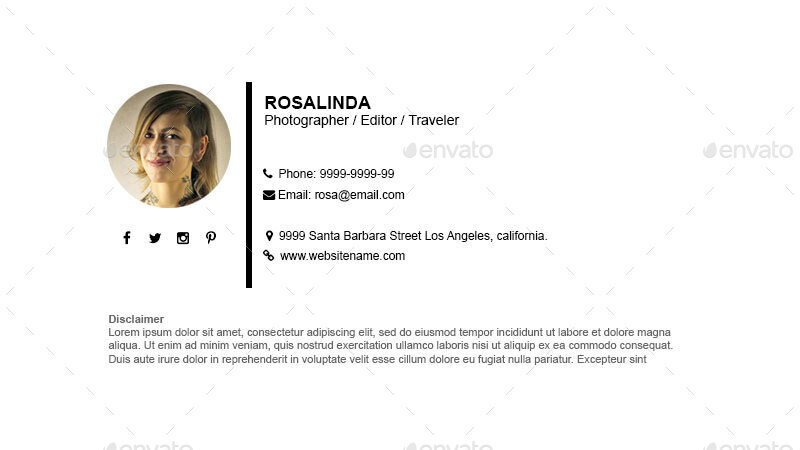 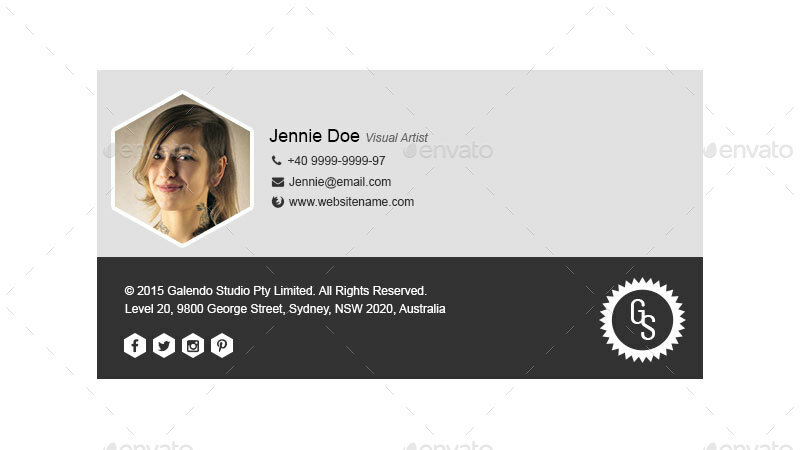 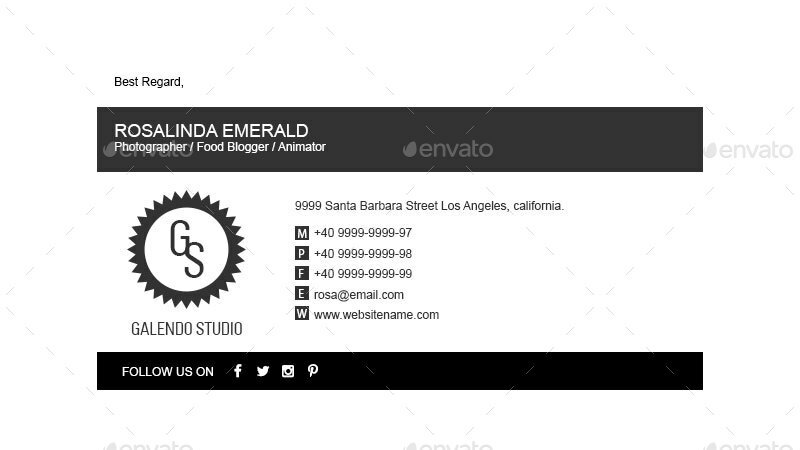 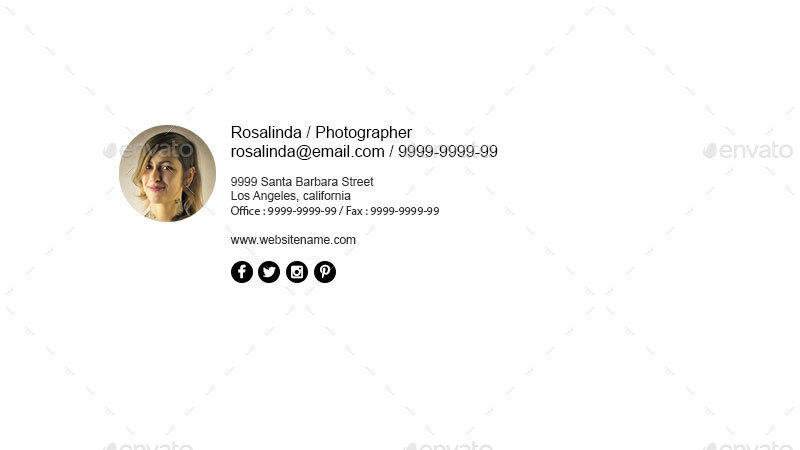 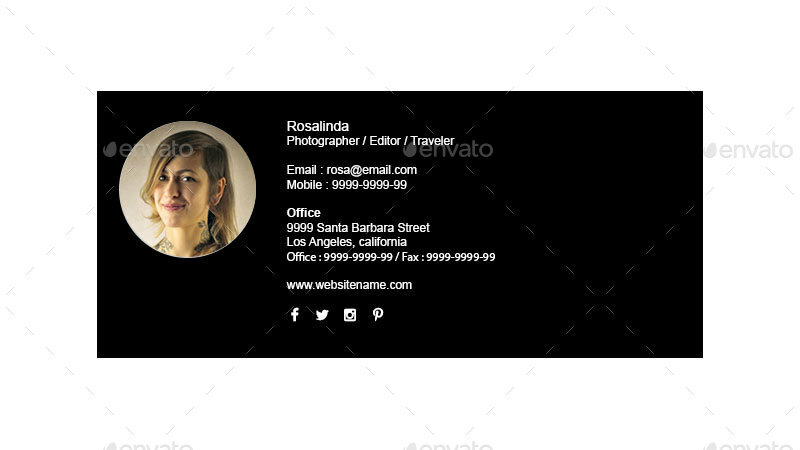 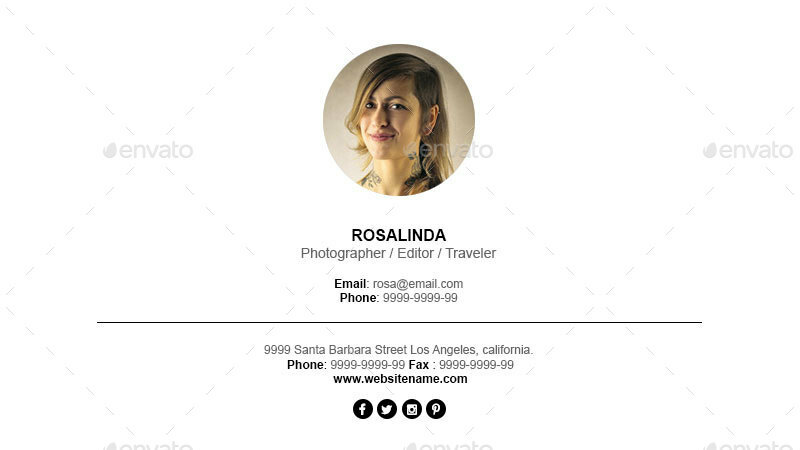 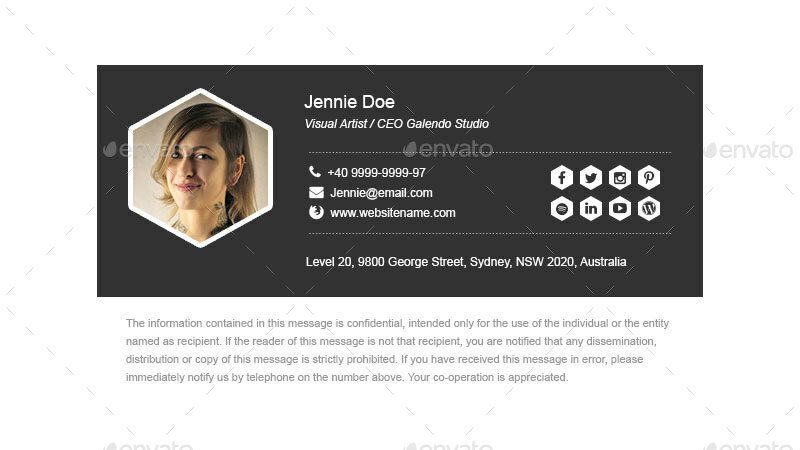 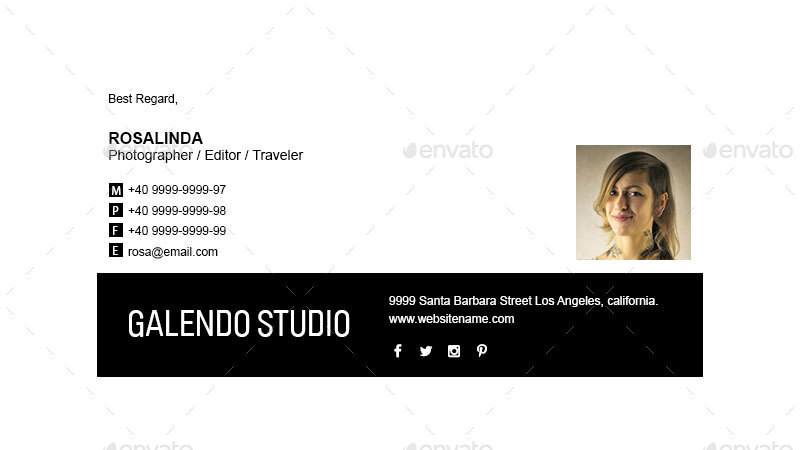 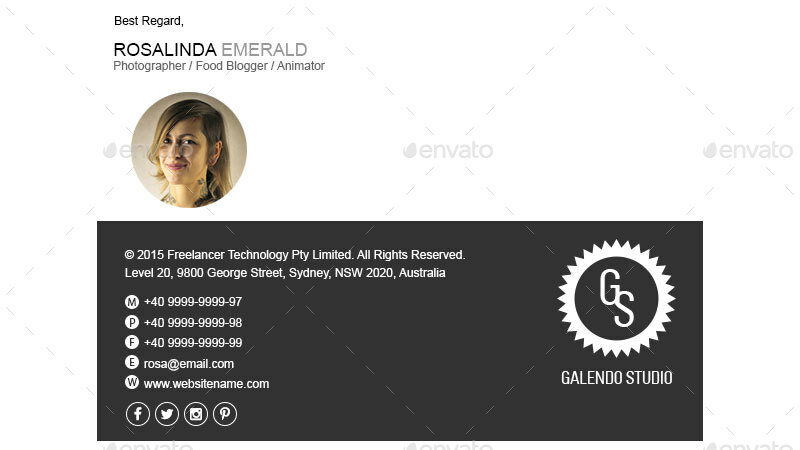 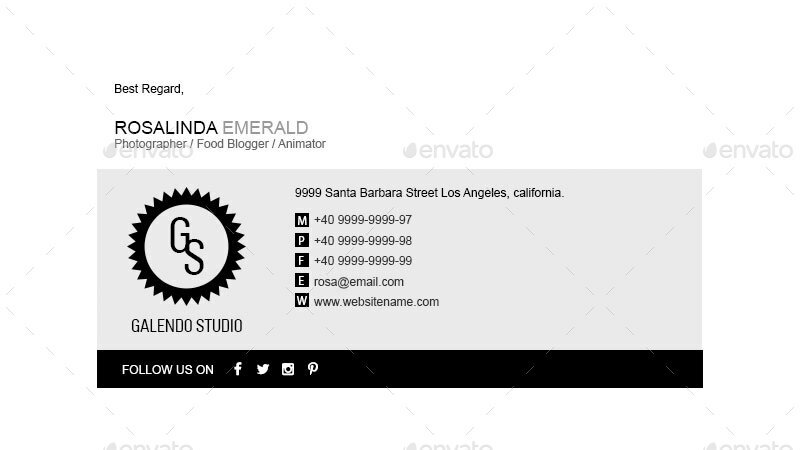 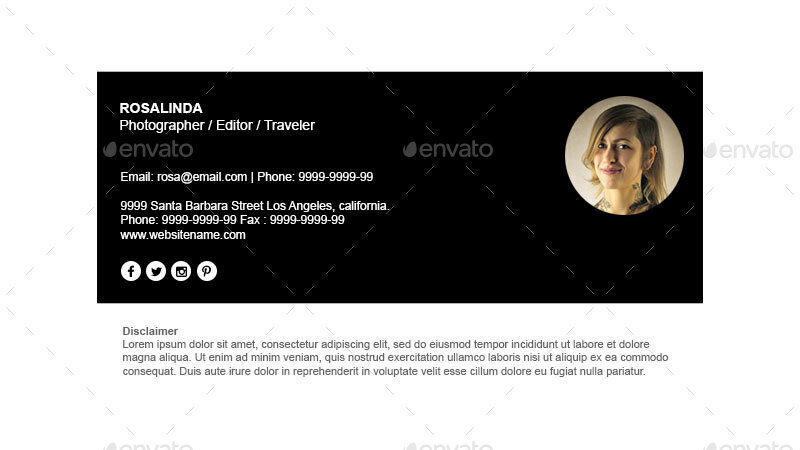 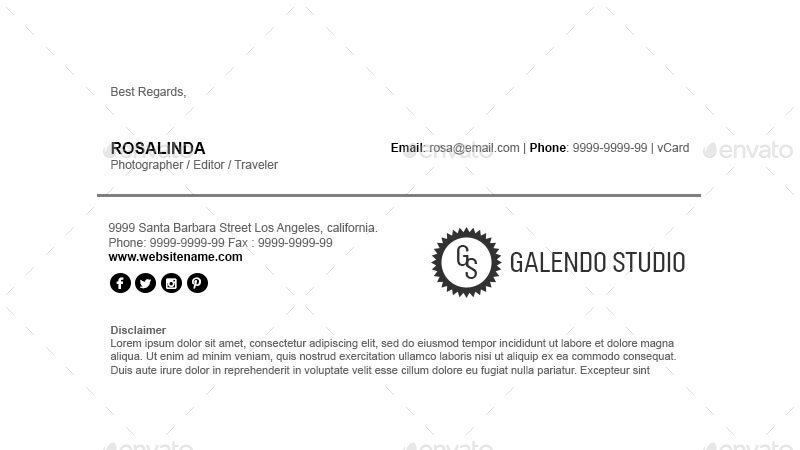 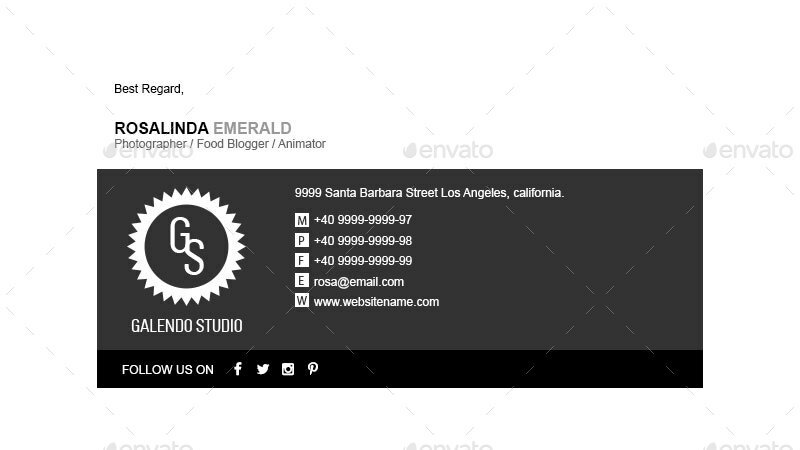 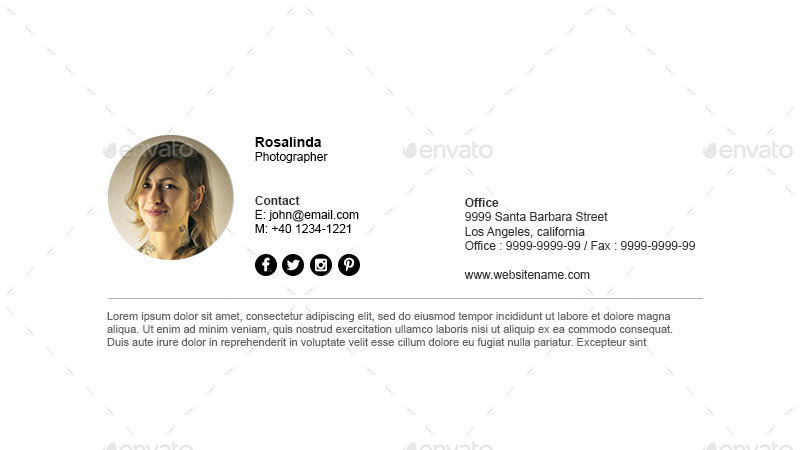 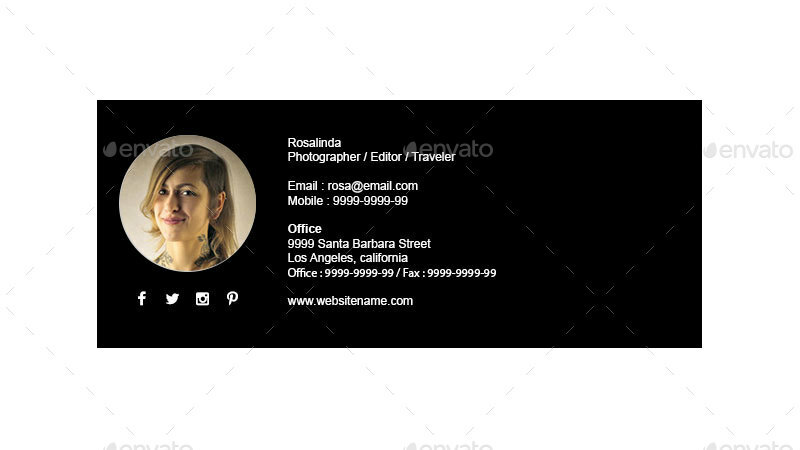 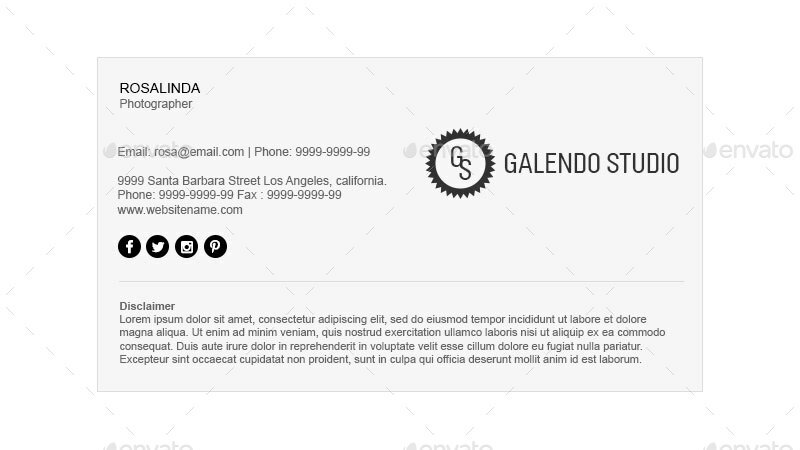 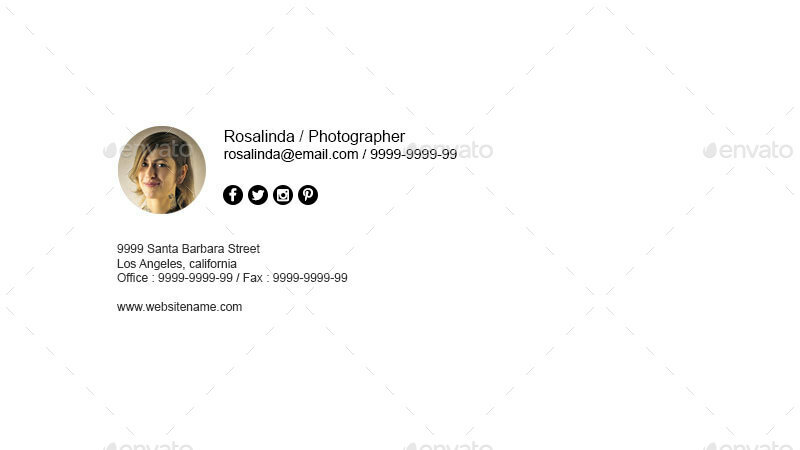 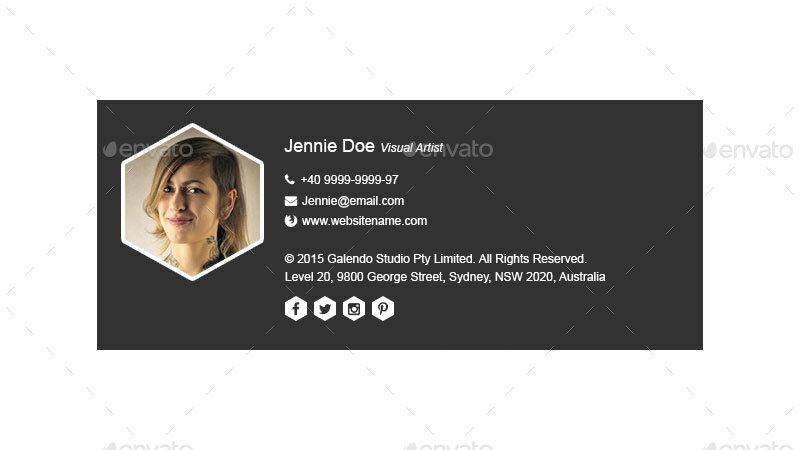 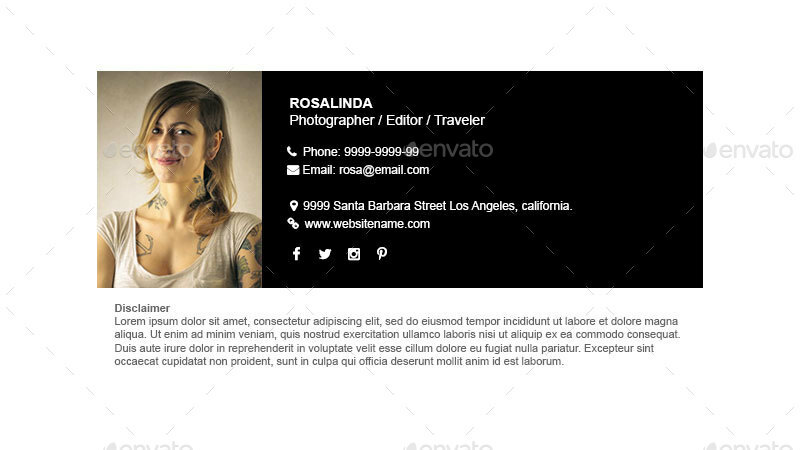 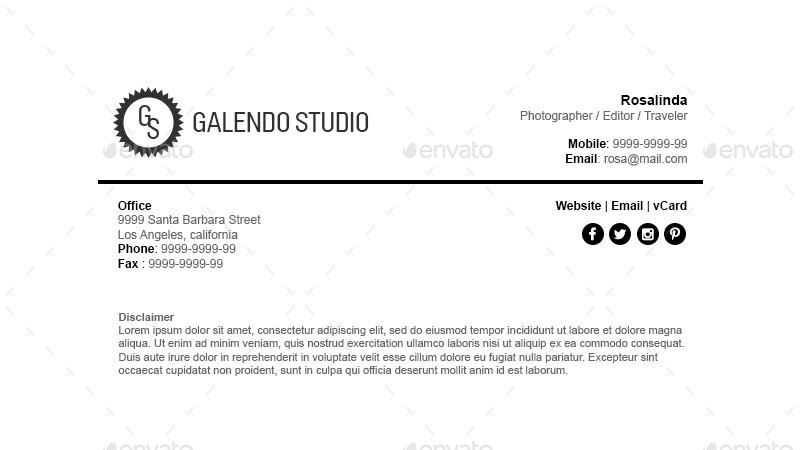 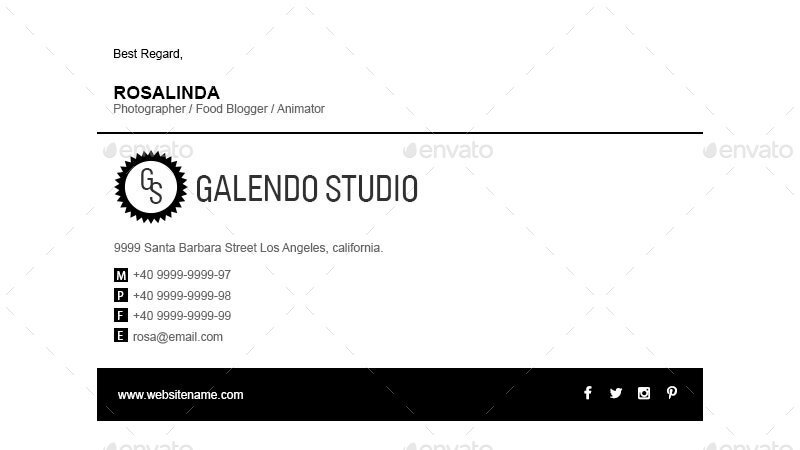 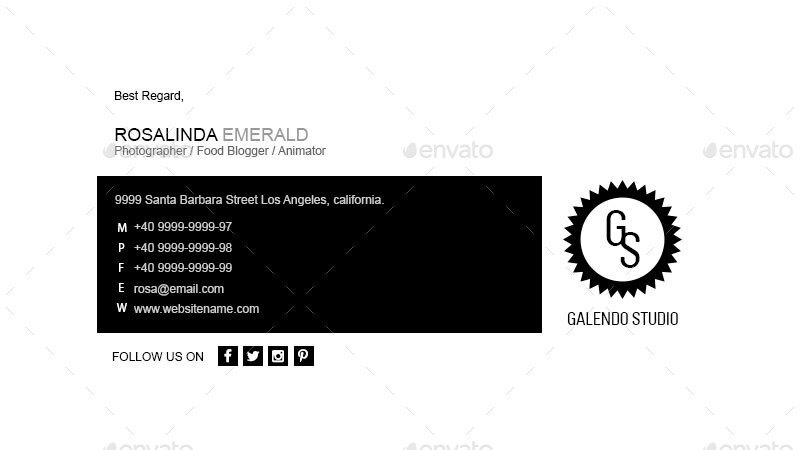 Modern collection of email signature templates in black colour. 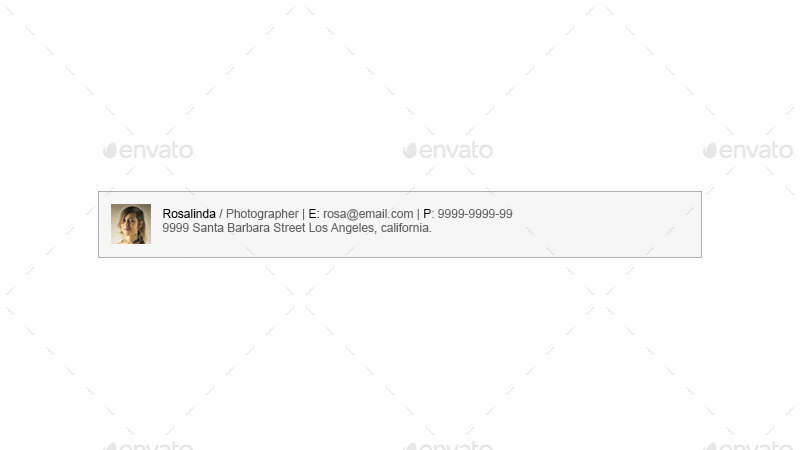 Perfect for your company or personal email signature. 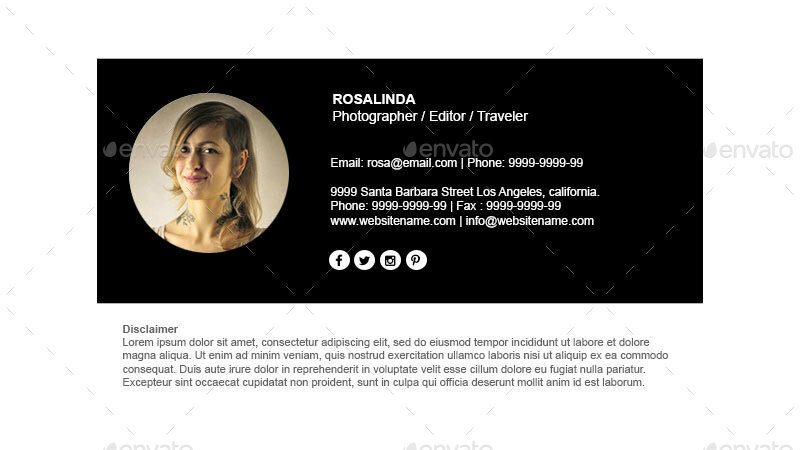 *Stock photo only for preview purpose and not included in file.